I started this post from the Fenway Park writer’s press box where sports writers craft articles about the Red Sox and their opponents. We’d just stood atop the green monster and heard how Ruth was sold to the Yankees back in 1912 for a stunning $100,000, then went on to set record after record while the Red Sox struggled. To this day some feel there’s a curse on the sox from that ill-fated sale. Fenway fans are close to the action in this small, intimate ball park. I could be a Boston fan. I could live in Boston. There’s water all around the city, and waves in the winter just up or down the coast. Among other Hollywood movies Moneyball, Ted, and Field of Dreams were partially filmed at Fenway. There’s still a single red seat in right field that marks the longest home run ever hit in the park. 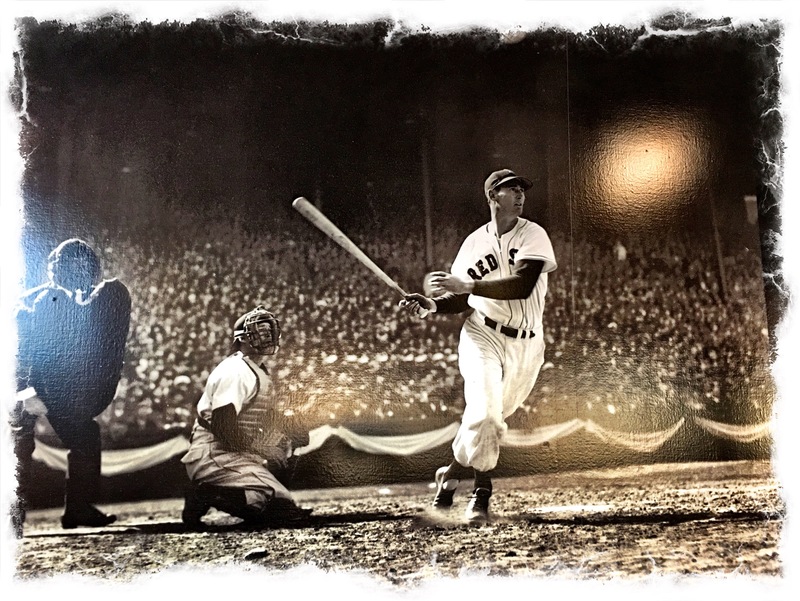 It was a 502 foot blast by Ted Williams on June 9, 1946.